It's useful to know how sound travels in order to learn about how sound can be managed in and around your home. To start things off, have a look at this video. It’s a really good demonstration and delightfully retro! After that very brief physics lesson here's a few take-aways about sound that explain how sound can become a problem in your home. Not all of these were in the video, but believe me, they're true. Sound can't travel in a vacuum. The less dense the air, the harder it is for sound to travel. Sound travels through the air and also travels through solid materials. We all know that sound travels through air. That's how we hear each other speak. Do you remember that trick from your childhood of two plastic cups or metal tins connected to each other with string. That's the proof that sound can travel through solid materials. 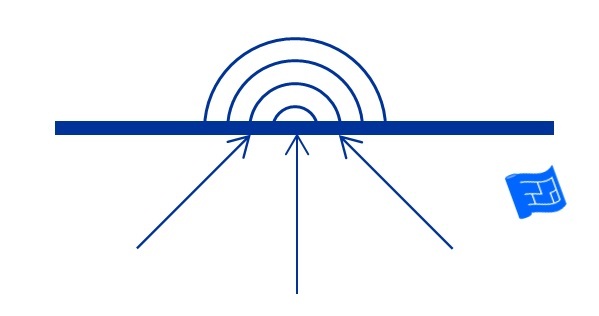 Sound waves reflect if they hit a hard flat surface. This is what is happening when you experience an echo. 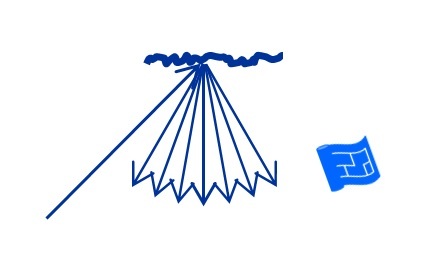 Sound waves are dissipated (split up) if they hit an irregular surface. Sound waves are absorbed if they hit a soft surface. If two sound waves cross over each other, they interfere with one another. This can lead to the sound being cancelled out, amplified or any jumbled up mess of noise in between. Now that we've learned a few key facts about how sound travels let's have a look at how home sound insulation works. Most home sound insulation products work by using a combination of reflection, dissipation (splitting up the sound) and absorption. Let's have a look at each of these in turn. If there’s a sound outside the home, the best tactic is to reflect it back to the outside. Let’s take a double glazed window as an example. The first pain of glass reflects the sound back to the outside. Any sound which isn’t reflected hits the next layer in the double glazing which is a partial vacuum so the sound can’t travel through it as easily. Then there’s a second pane of glass to reflect any sound that remains. Some sound will get through but the double glazing does a pretty good job. In the case of dissipation the sound wave is broken up. This is what is required in most living situations (along with a bit of absorption). A room where the sound is dissipated or distributed feels alive without any unpleasant echoes or loud or quiet spots. When a sound wave hits a soft material it sounds like the sound is absorbed. What’s really going on is that the sound is transformed into a different form of energy – heat. We don’t feel much of that heat because it takes an awful lot of sound energy to create any noticeable heat. A recording studio would use lots of sound insulation that absorbs sound so that the sound in the room is pure and free of reverberation. I once stayed in a house in a bedroom which absorbed sound. The walls were very thick, old and irregular. The atmosphere was very quiet and intimate which suited that bedroom. In a living space this sound profile would be perceived as dull. The silence would be, as the saying goes, deafening.